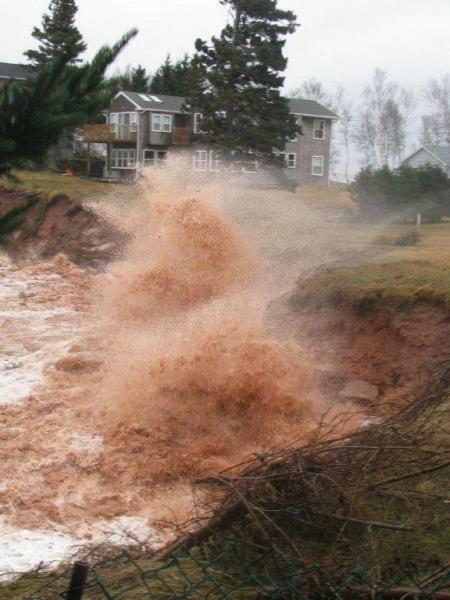 Many coastal property owners in Nova Scotia are concerned about property loss or damage due to erosion (sediment movement caused by water and wind). Traditionally, boulders or rock walls have been used to reduce property loss. But this type of hard infrastructure can be expensive, require regular maintenance, and even interfere with sediment movement and beach formation, increasing erosion elsewhere along the coast. Living Shorelines are a softer approach for stabilizing shorelines. Learn more here. Groundswell is a community-based groundwater monitoring project that connects volunteers to simple groundwater level monitoring around the province. It is aimed at improving our understanding of groundwater resources in small communities. This project, initiated by the Ecology Action Centre, is currently being run by the Nova Scotia Community College waterfront campus. We continue to work with NSCC to publish student research via annual reports, found here. The Sawmill River is a historic river that once flowed through downtown Dartmouth. In 1972, after extensive flooding caused by Hurricane Beth, the river was buried into a stormwater sewer. The City of Halifax has embarked on a once-in-a-lifetime opportunity to expose and restore Sawmill River. Halifax Water is in the process of replacing the aging culvert in which the Sawmill River now flows between Sullivan's Pond and the Halifax Harbour. Phase one is now complete. Learn more about our past involvement with this project here. Between 2011-2013, the Ecology Action Centre worked with community and provincial partners on a climate change adaptation project in Cheticamp, Cape Breton. The project focused on helping the tourism and fisheries sectors in Cheticamp understand climate change risks and opportunities specific to their sector. This project was funded by Canada’s Rural Secretariat under the Knowledge Development Partnership. Reports and presentations created as part of the Climate Change Adaptation Project in Cheticamp can be viewed below. A group of students in Mount Saint Vincent University's Tourism program undertook a project as major research assignment, within the context of the fourth year course THMT 4440 (Special Topics in Hospitality Management). Our Well Worth It project provided support well owners in learning about drinking water testing to keep families and communities healthy and strong. Through this project we were able to offer workshops and guides for water testing, and water testing kits that include resources, testing forms, water collection bottles, and grants for testing fees. This is a past project and we are no longer able to provide well testing. 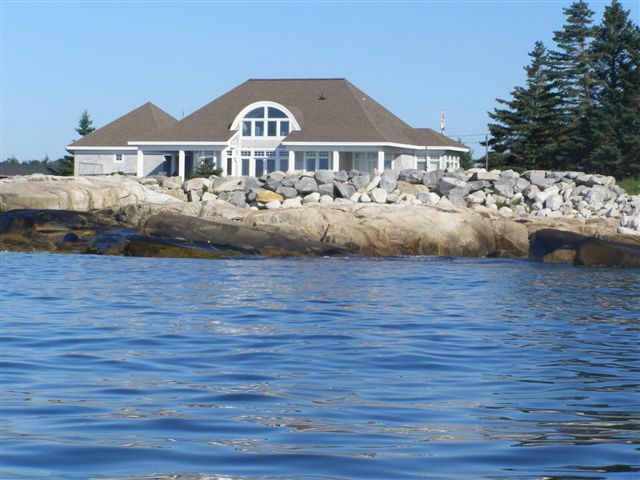 You can find water testing labs in Nova Scotia here, and a series of fact sheets with information on different water quality parameters, such as bacteria and chemicals, that may be present in well water, here. Turn on the Taps and Ditch the Bottle coalition was formed in September 2008. The coalition led to some important successes, including the adoption of a bottled water policy by the provincial government in 2010, which limits the purchase of bottled water for events and promotes the use of tap water within provincial government departments. Additionally, six municipalities (County of Richmond, District of Clare, County of Antigonish, Town of Digby, Town of Antigonish and the Town of New Glasgow) established policies to ban the purchase of bottled water, and Halifax Regional Municipality banned the purchase and sale of bottled water in City Hall. From July to October 2012, the Ecology Action Centre and Sierra Club Atlantic contacted members of some community groups who had experiences with exploration, mining, environmental assessments and quarries. Community groups were selected who were known through personal professional contacts, or through the media, to be active on mining and quarry issues. Notes were kept, and privacy was maintained where appropriate. The result is the report "On Solid Ground: Community Voices for Changing Nova Scotia's Mining Policies". This report documents what we heard, and also gives 28 recommendations for change in the Mineral Resources Act and also in other policies. ParCA is a research project led by the University of Waterloo and the University of the West Indies. ParCA seeks to foster learning and collaboration between coastal communities in Nova Scotia, PEI, Jamaica, and Tobago, to understand adaptive strategies in the face of climate change. EAC is a community partner in ParCA project, and we support the research in the Nova Scotia study sites of Shelburne and Queens County. Learn more about ParCA here. "Case Studies, Boardwalks and Coastal Paths: Coastal Engineering and Climate Change Considerations" - Mike Davies, Ph.D, P. Eng. Coldwater Consulting Ltd.
"Our Possible Futures" - Anne Warburton, Elemental Sustainability Consulting Ltd.
You can also find reports and resources related to the Coastal Protection Act HERE. Stay up-to-date with our Coastal Water work by joining our eNewsletter here.